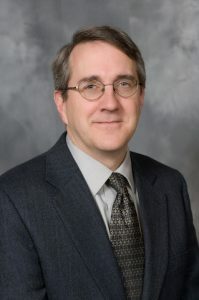 Dr. Whalen obtained his B.A., M.A., and Ph.D. in English from the University of Kansas. Prior to joining the Hillsdale faculty in 1994, he taught at the University of Kansas and Belmont Abbey College. Dr. Whalen has received a Salvatori Fellowship from the Heritage Foundation and a Weaver Fellowship from the Intercollegiate Studies Institute. He was also awarded the Daugherty Award for Teaching Excellence from Hillsdale College. Dr. Whalen is the author of The Consolation of Rhetoric, a study of John Henry Newman’s epistemological thought. He has also published articles and essays on Renaissance poetry, non-fiction prose, and the history and philosophy of liberal arts education. Dr. Whalen’s reviews have appeared in The Intercollegiate Review, The University Bookman, Modern Age, and the Sewanee Review. 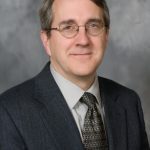 A frequent lecturer, Dr. Whalen addresses topics such as liberal arts education; the Western imagination; and the writings of Shakespeare, John Henry Newman, T.S. Eliot, and Walker Percy.